Bunny is a Patient advocate for the American Society of Clinical Oncology, a committee member on the molecular tumor board for the Targeted Agent Profiling Utilization Registry (TAPUR) study and liaison to the AYA adolescents and young adult working group, National Cancer Institute (NCI) supported Alliance for Clinical Trials in Oncology. Bunny Leach’s background is in psychology, writing, and Business Administration. She has written several articles for national and international publications, and has appeared on local and national radio and television programs. Such as “ The Doctors” ABC with Dr. Travis Stork, to present a check from the foundation to a young adult), and to discuss topics related to cancer, patient advocacy, caregivers, recovery and hope. She is currently working on her third book MOURNING MOTHER’S, and her first non-fiction book Once A Week. 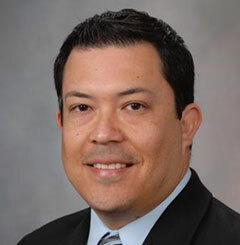 Mario A. Carranza, M.H.A., FACHE, is the administrative director of the Atlantic Center for Research in the Atlantic Health System. The Atlantic Center for Research is responsible for all administrative operations and support for research throughout the Atlantic Health System.Prior to joining AHS, Mario worked as an Operations Administrator at Mayo Clinic in Florida. At Mayo Clinic he was responsible for the day to day operations of various research departments and instrumental in developing the Center for Individualized Medicine in Florida and Health Sciences Research. Mario supported various departments during his tenure at Mayo Clinic such as: Cancer Studies, Cancer Biology, Biochemistry and Molecular Biology, Neuroscience, Health Sciences, Immunology, Clinical Genomics, Comparative Medicine, Biorepository Program, Discovery & Translational Programs, Biomarker Discovery Program, Center for Individualized Medicine, Center for Regenerative Medicine, and the Center for the Science of Healthcare Delivery. He was also a member of several institutional committees such as: Research Resources Committee, Research Personnel Committee, and the Research Cores Subcommittee. Mario has also served as an adjunct professor at the University of North Florida. As the Administrative Director of the Atlantic Center for Research, he is responsible for the operations of pre-award, post-award, IRB, sponsored projects administration, research finance, research education, research quality, biostatistics, research pharmacy, clinical research and trials office, clinical research operations, and translational research. He currently serves on the board of managers for the PIER Consortium and the advisory board for the College of Science and Mathematics at Montclair State University. Mario believes research is a critical component to any healthcare organization that aims to bring cutting edge treatment and high quality care to its patients. He feels it is equally important to remember that there is a person at the end of the research we do and we must respect and protect them. Kurt A. Jaeckle, M.D., is currently a Professor of Neurology and Professor of Oncology at the Mayo Clinic Florida in Jacksonville , FL. He is ABPN Board Certified in Neurology & UCNS Board Certified in Neurooncology. Dr. Jaeckle received his MD degree at Indiana University School of Medicine; internship in Medicine, residency in Neurology & fellowship in Neuromuscular disease at Vanderbilt University; fellowship in Neuro-oncology at Memorial Sloan Kettering Cancer Center ; then served as Assistant Professor at the University of Utah & Associate Professor at the University of Texas MD Andersons Cancer Center. Dr. Jaeckle has served as a principle and co-investigator on several national and international Phase I-III clinical therapeutic trials, which have evaluated new chemotherapeutic and novel molecular targeted agents for treatment of people with brain tumors. He has authored over 100 peer reviewed papers regarding primary and metastatic brain tumors, and neurologic complications of cancer. He has previously served as Chair of the Neurooncology Committee for the National Cancer Institute (NCI) Cooperative Group NCCTG (now Alliance); as Chair of the Section on Neurooncology of the American Academy of Neurology; as Board member of the Society for Neurooncology (SNO); Board member of the United Council for Neurologic Subspecialties (UCNS); and is a current member of the NCI Brain Malignancies Steering Committee. He also works as a luthier in personal time, building acoustic guitars. Fr. Ted Pisarchuk is an Archpriest in the Orthodox Church in America . He is the planting priest and the rector of St. Justin Martyr Orthodox Church in Jacksonville , FL and is the mission director of the Diocese of the South Orthodox Church in America. Presently he sits on the board of the Orthodox Christian Mission center serving on the executive committee and is the chair of the building committee. He holds a building contractors license in the state of Florida, has a master of Divinity from St. Vladimir’s Orthodox Theological Seminary and a bachelor of building construction from the University of Florida. He is married and has two boys. He enjoys family activities, woodworking and the outdoors, anything around the water, physical training and various sports. Paul A. Pitel, M.D., is a pediatric hematologist-oncologist and Chair of the Department of Pediatrics at Nemours Children’s Clinic-Jacksonville. A graduate of Brown University and the Brown Medical School , he has written and lectured extensively in his field. He has served on several non-profit boards, and is currently on the boards of the Ronald McDonald House of Jacksonville and the Ronald McDonald Charities of Northeast Florida. Tommy Hazouri is a Certified Public Accountant specializing in taxation and personal financial planning with over 15 years in the financial services industry. He received a B.B.A. in Accounting from the University of North Florida . Tommy is a member of the American Institute of CPA’s, and the Florida Institute of CPA’s. In addition to having accounting “Big Four” public accounting experience, Tommy’s career also includes an extensive tax background in estate, gift, fiduciary and individual taxes as well as knowledge of the trust, probate and investment areas. Besides the CPA, he also holds the AICPA’s Personal Financial Specialist and American College ‘s Certified Financial Planner designations. Nina Hunter is Director of Development for the Brooks College of Health at the University of North Florida. 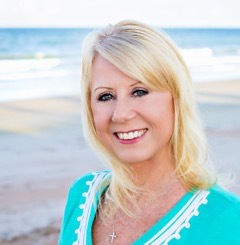 She has been with UNF leading the fundraising efforts for the Brooks College of Health since September, 2007. Prior to that time she served as a Philanthropic Consultant with Wachovia Trust until her retirement in 2007. She has worked with numerous non-profits, assisting them with the development of their planned gifts, such as bequests, charitable trusts and foundations. Nina currently serves as board member and Past President of Planned Giving Council of N.E. Florida; Member of Estate Planning Council; as well as other boards. Terri is owner of a design and communications firm based in Ann Arbor, MI. Over her career, she chose to specialize working with clients in, healthcare, education and the nonprofit sector. She has designed marketing and fundraising materials for numerous nonprofits in SE Michigan including The Ronald McDonald House, The Ann Arbor Hand-On Museum, Ann Arbor Art Center, United Way, and American Red Cross of Washtenaw. Foundations include Ann Arbor Area Community Foundation, Michigan Women’s Foundation, and the Ann Arbor Public Schools as well as the AAPS Foundation. She currently serves on communication advisory boards for Safe House Center and United Way of Washtenaw. 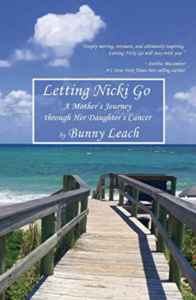 Terri has worked with the Nicki Leach Foundation since it’s inception. She first met Nicki, the day her mother, Bunny brought her home from St. Joseph Mercy Hospital in Ann Arbor where she was born. Marlene is a Computer Science student from Stuttgart in Germany. She grew up in Mannheim. 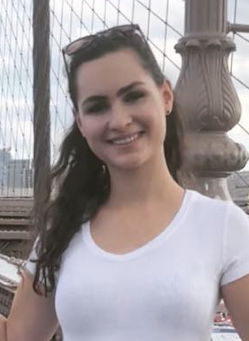 In 2018 Marlene moved to New York City for a semester abroad in the US. That’s when she met Jesse Leach (Bunny’s son) and heard about Nicki’s story. Marlene will start her Graduate studies at Pace University, Seidenberg School of Computer Science and Information Technology in New York City this fall after she graduates from the Media University in Stuttgart. Marlene designed and maintains the website and creates brochures and marketing materials for the Nicki Leach Foundation. She works closely with Bunny to make the make the Foundation mission a success.